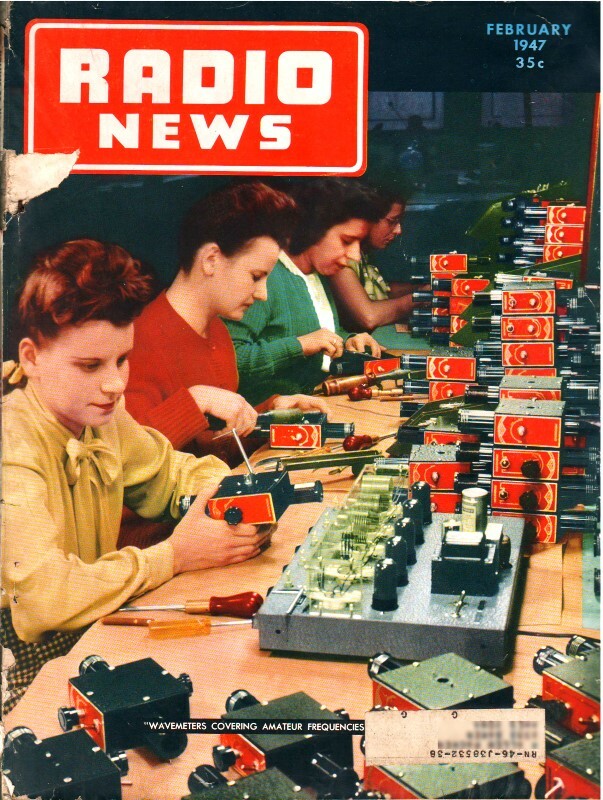 The February 1947 issue of Radio News only had two electronics-themed comics. Many months have up to half a dozen comics. 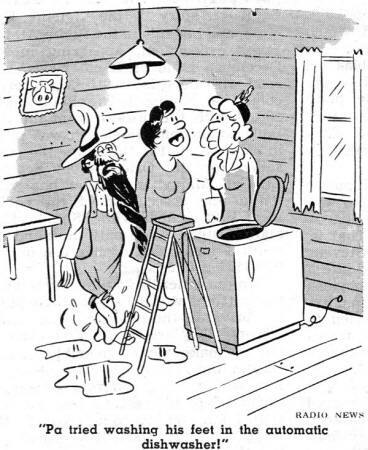 Maybe the winter blues had set in with the magazine's illustrators. 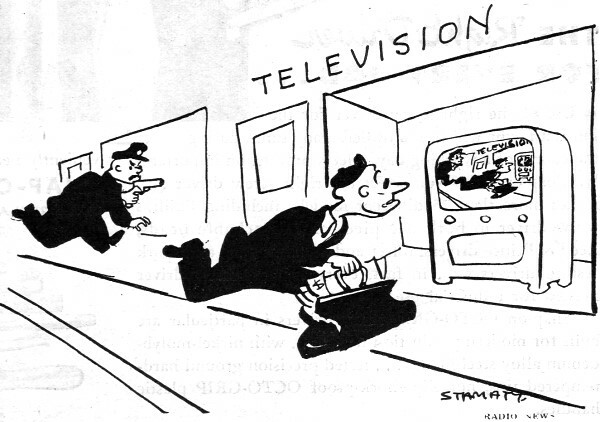 The first comic is a tad bit prescient in that it depicts a robber running past a television store and seeing a TV in the front display window showing a real-time video of the cop chasing him. That was way before there was a video surveillance camera on every street corner. I haven't discovered a vintage magazine yet with someone taking a 'selfie.' There is a growing list of other comics at the bottom of the page. 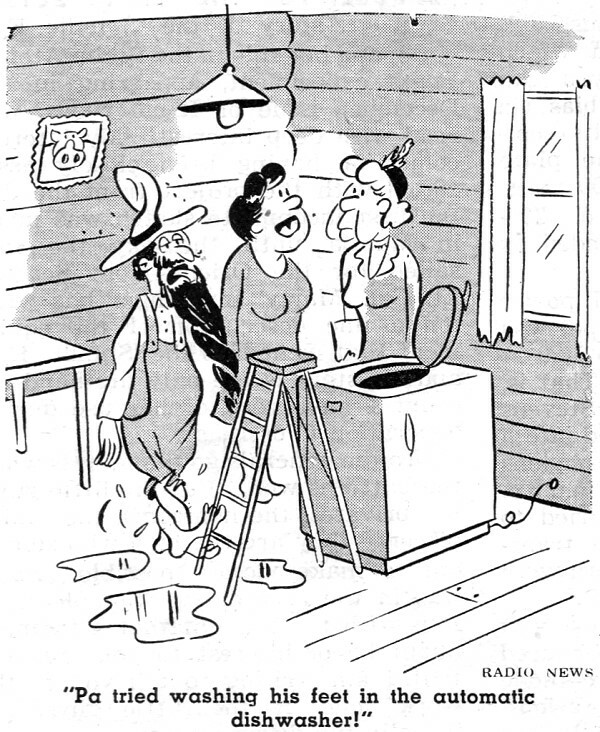 "Pa tried washing his feet in the automatic dishwasher!"